Modern cars have fancy infotainment setups, big screens and all sorts of computers with networked functionality built-in. Part of that fanciness is increasingly often a curl install. curl is a part of the standard GenIVI and Tizen offers for cars and is used in lots of other independent software installs too. This usually affects my every day very little. 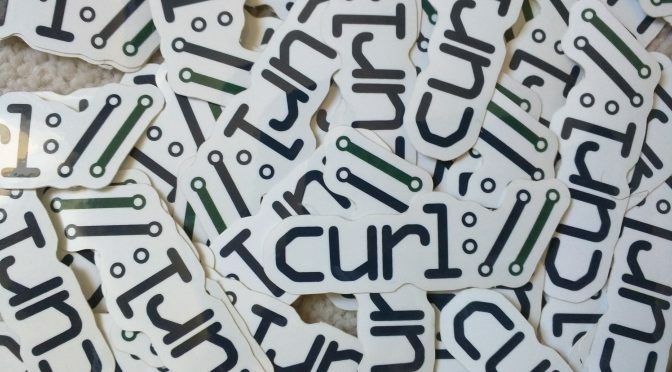 Sure I’m thrilled over hundreds of millions of more curl installations in the world but the companies that ship them don’t normally contact me and curl is a really stable product by now so not a lot of them speak up on the issue trackers or mailing lists either (or if they do, they don’t tell us where they come from or what they’re working on). The main effect is that normal end users find my email address via the curl license text in products in cars to a higher degree. They usually find it in the about window or an open source license listing or similar. Often I suspect my email address is just about the only address listed. This occasionally makes desperate users who have tried everything to eventually reach out to me. They can’t fix their problem but since my email exists in their car, surely I can! Here are three of my favorite samples that I saved. Regarding the audio player, why there delay between audio and video when connect throw Bluetooth and how to fix it. I am using in a new Ford Mondeo the navigation system with SD Card FM5T-19H449-FC Europe F4. I can read the card but not write on it. I want to add to the card some POI´s. Can you help me to do it? I have toyota corola with multimedya system that you have its copyright. I need a advice to know how to use the gps . Now i cant use or see maps. And i want to know how to add hebrew leng. I’m sad to say that I rarely respond at all. I can’t help them and I’ve learned over the years that just trying to explain how I have nothing to do with the product they’re using is often just too time consuming and energy draining to be worth it. I hope these people found the answers to the problems via other means. The hacker news discussions on this post took off. I just want to emphasize that this post is not a complaint. I’m not whining over this. I’m just showing some interesting side-effects of my email in the license text. I actually find these emails interesting, sometimes charming and they help me connect to the reality many people experience out there. Why not forward those e-mails to some customer service? @GoodGuy, why not just write a Bayesian filter to trap these types of e-mails, get a job on the G-mail team, and set up a new experiment in g-mail labs. Then, Daniel can install that lab and have the e-mails routed to you. From that point, *you* can forward these to their respective customer service departments and deal with all future correspondence. Easy right? If car manufacturers had an e-mail address that would actually have some customer service to deal with various bugs… what do you think would happen? I can imagine it being flooded with too many genuine questions, and a huge number of prank mails, not to mention spam. 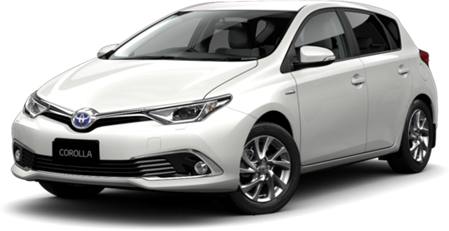 If Toyota would set up a dedicated address for use by authors of open-source components included in their cars, that would help, but even that might be problematic. It’s better to leave the thing to be handled by the after-sales organisations of car manufacturers. Toyota is supposedly one of the best. If these persons couldn’t find a customer service to contact, I should? And they’re about different cars, devices and brands. I would need to look up who to email and I would have to explain the situation etc – that would be the energy and time consuming part I mention in the text. @anon: I’ve quoted the emails as I got them – including the original spelling. You didn’t read the article did you? So can you help me with using GPS on my Toyota Corolla and I want to add Gibberish leng? Large corporations using this code and not a single penny contributed to the project? Clueless users should waste their own time (life), not a scarce resource like FLOSS developers. I have a simple email address that other people mistakenly use more often I would expect. I have a template email that says the “postmaster could not deliver this message. Reason: NO SUCH RECIPIENT” that I will often reply with. At first glance, it looks legit to most people. I found it easier than doing the polite dance of telling the sender the address is wrong. Often they would ask more questions or not actually update their address book. set up a web page to direct them to asking for $.50 to $5 randomly to reveal or download the secret to fixing this. then the secret is to email the manufacturer. or, just put the secret on there with a donation box. It’s quite dumb that car manufacturers make it easier for their customers to raise quality issues to the maker of curl rather than themselves. It’s also quite awesome, however, that the issue makes Daniel Stenberg all the more famous for the awesome utility he created. Maybe you should write to Toyota and offer them them to help fixing the issue. thx for curl by the way – i ride a bike!